Time to Celebrate – The Liebster Award! Guess what, everyone. 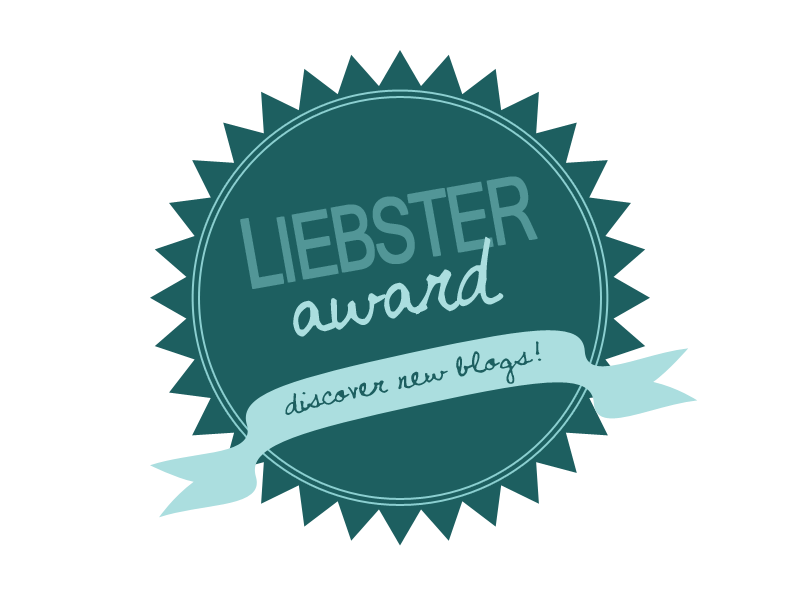 I have been nominated for the Liebster Award again!. This time momof3isnuts was nice enough to nominate me! 1. If you could have any super power, what would it be? Why? I’m going to say super-human strength. How great would it be to open all those jars by myself? Or carry all of the groceries in with one trip! 2. Which three people, living or not, would you invite to dinner? Why? Ellen Degeneres (because she’s funny and seems super nice), Ernest Hemingway (you know, the whole writer thing) and Damon Salvatore from the Vampire Diaries. Not the actor, the actual vampire. Because I think it would make dinner that much more interesting. 3. Climbing? or Zip Lining? 4. If money were no object, what would you do all day? Probably a mix of traveling, writing and crafting. Not all in the same day, that would be a lot. 5. What has been your biggest challenge? Pushing myself to make the most of every day and not frittering it away with inconsequential things. England in 1587. It would be great research for my novels. And I’d probably have a greater appreciation for all our modern day luxuries–a day without a latte? Yikes! 7. If you could stay a certain age forever, what age would that be? Probably 32. A nice mix of youth and experience. 8. If you could learn to do anything, what would it be? Oh, I wish I could sing or play an instrument. Music is such an amazing way to express yourself. 9. When you have 30 minutes of free time, how do you pass the time? Somehow it feels like I have no free time… but I’m sure I do, I just have to figure out where I’ve put it. I’m going to say reading or playing on Pinterest. 10. What do you find beautiful? The changing of the seasons, my husband’s smile and the compassion most people have for others. Since this was the second time I’ve been nominated, I did a little research and discovered the origins of the Liebster are a little foggy and the rules have changed over time, with different versions of the award floating around out there. Some have you just list random facts about yourself, some have you only nominate 5 other bloggers, etc. So, for those of you that I’ve nominated feel free to accept or decline the award, participation is optional and nominate as many bloggers as you like. -Nominate up to 10 other bloggers for this award who have less than 200 followers. 2. Have you/would you go skydiving? 3. Have you started your Christmas shopping? 5. What is the nicest thing someone has ever said to you/or done for you? 6. Where would you travel if money and time were no issue? 7. Which animal would you be most afraid to stumble upon: grizzly bear, great white shark or anaconda? 10. What has been your favorite thing about writing a blog? congratulations on a second nomination! Very, very funny answers! It would be good to be able to open all those jars on your own! Thank you! And I’ve enjoyed your blog as well, it’s great finding people whose work you like and want to follow. Congratulations on your nomination! I love your answers! I feel like we’re old chums! Thank you so much for nominating me! Here are the answers to the questions you gave me!